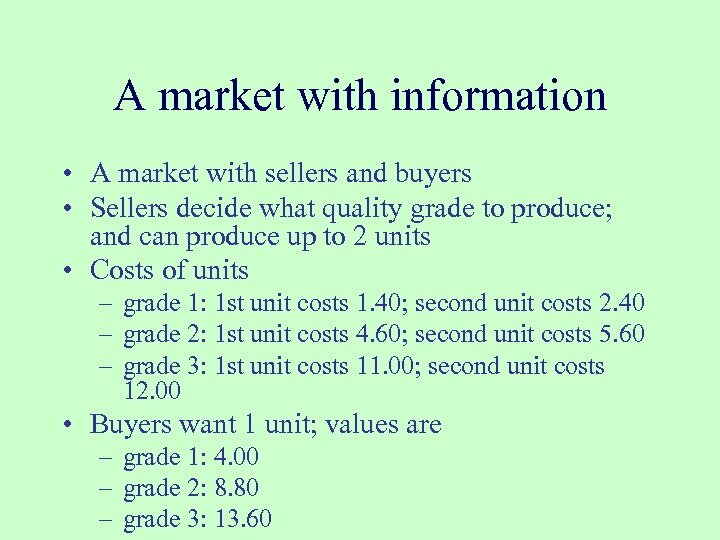 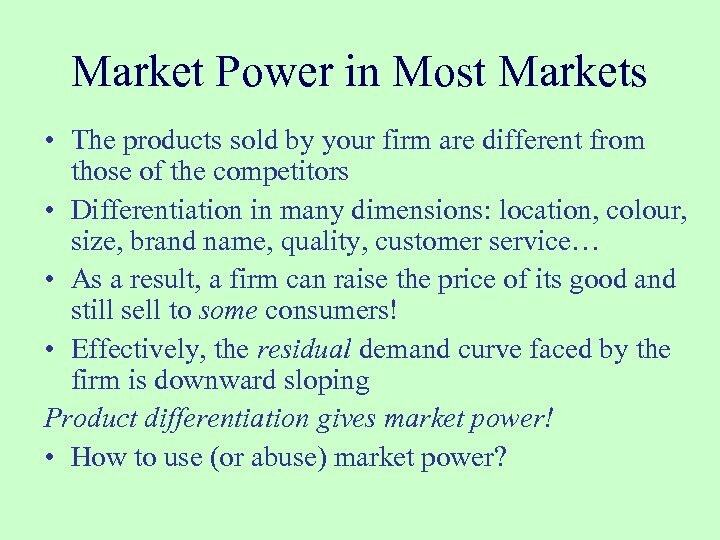 Market Power in Most Markets • The products sold by your firm are different from those of the competitors • Differentiation in many dimensions: location, colour, size, brand name, quality, customer service… • As a result, a firm can raise the price of its good and still sell to some consumers! 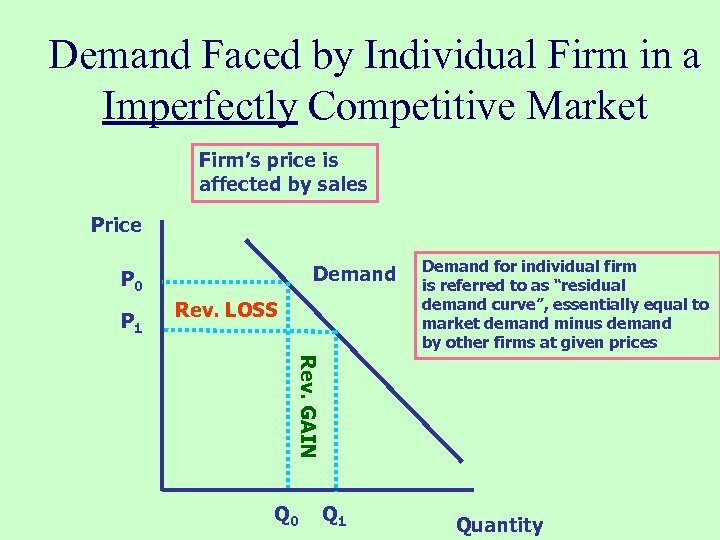 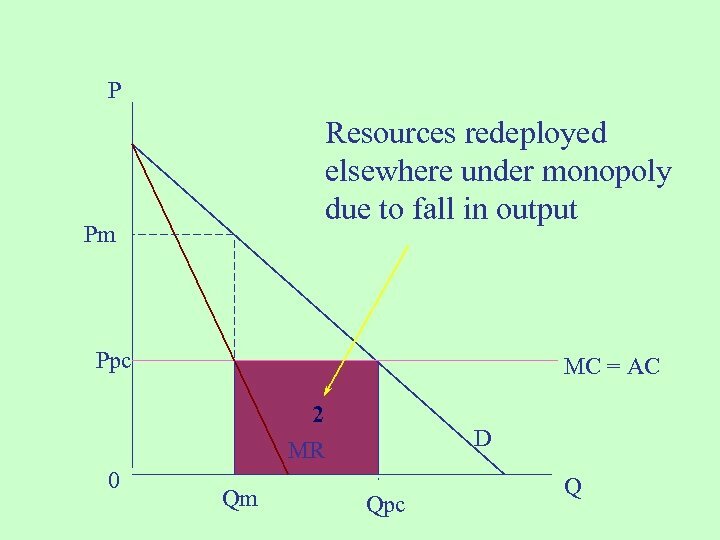 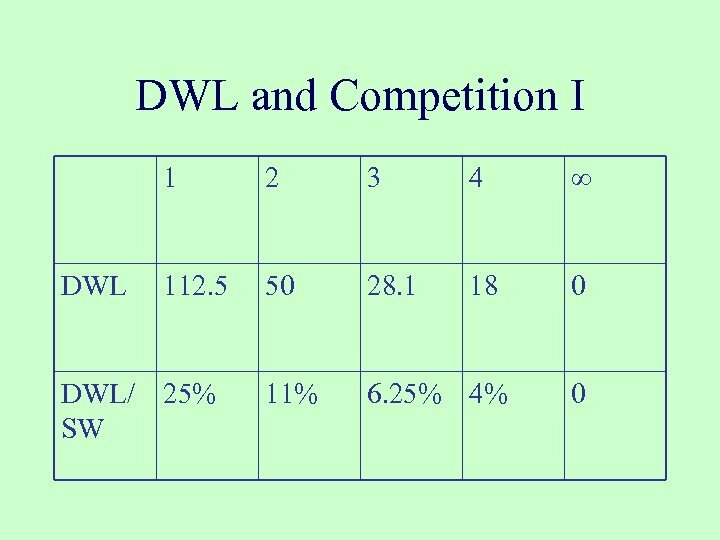 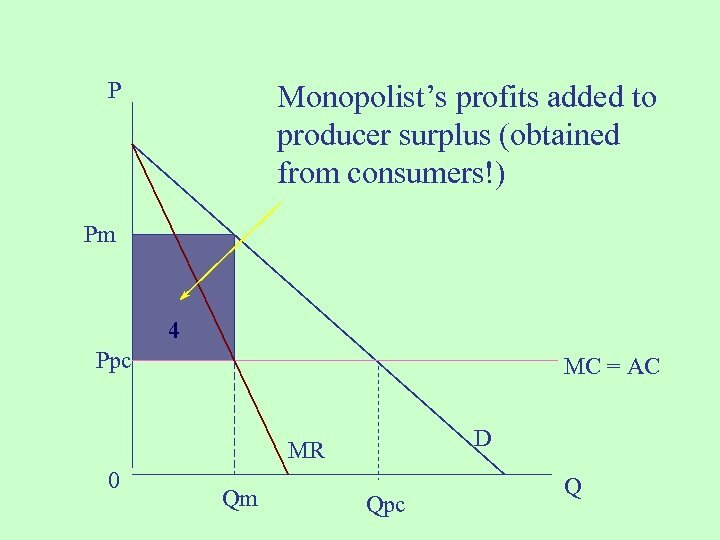 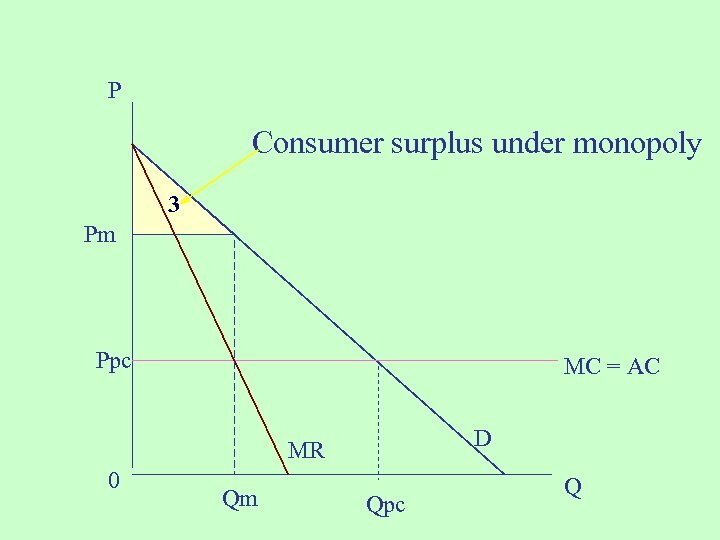 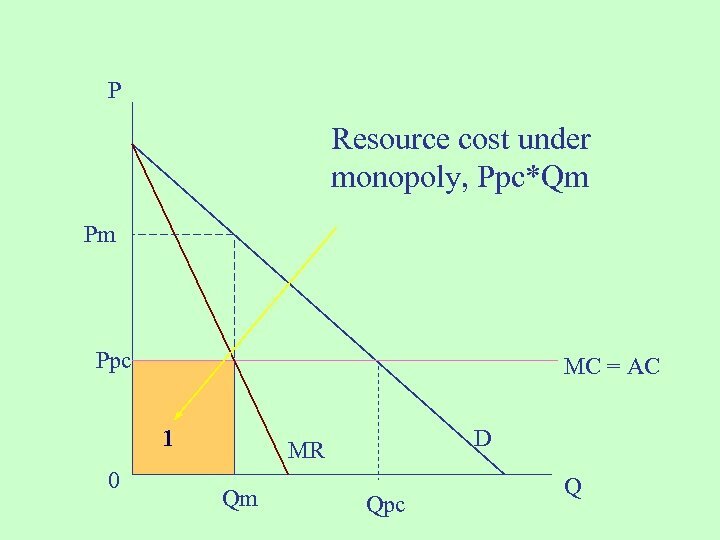 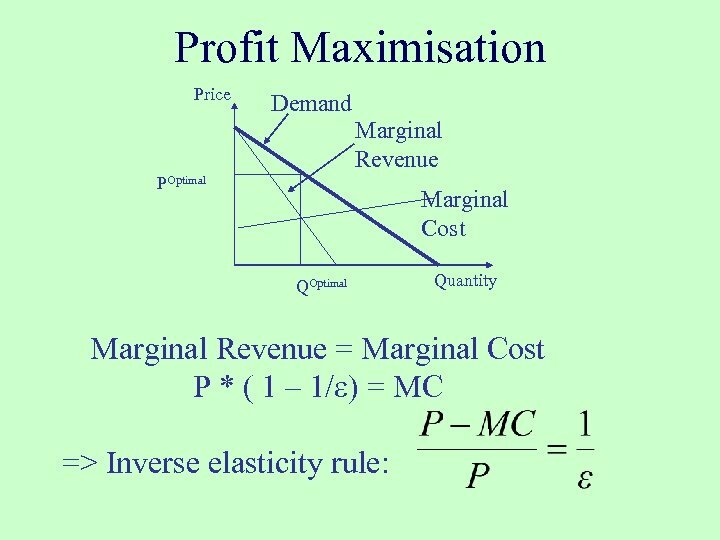 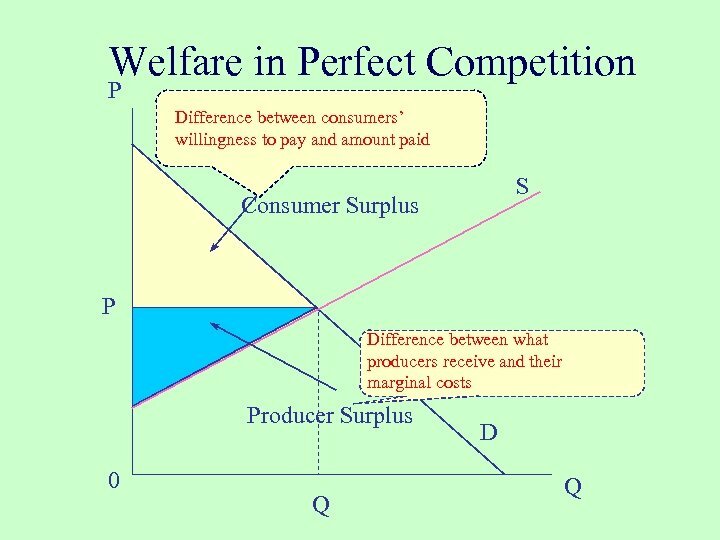 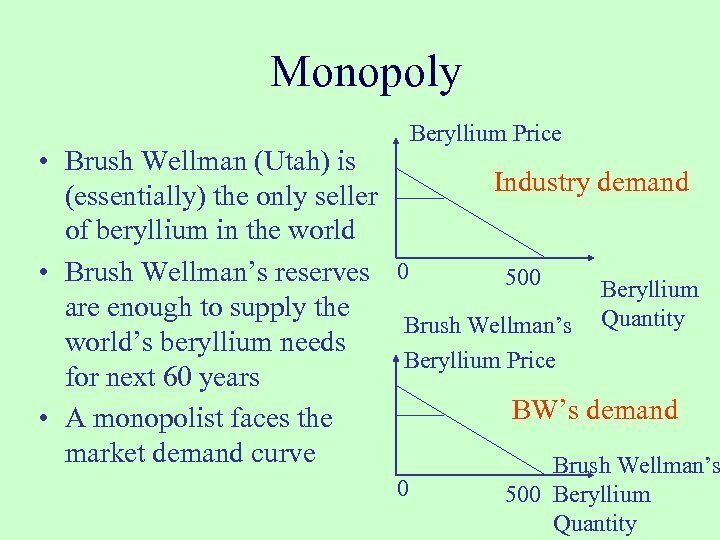 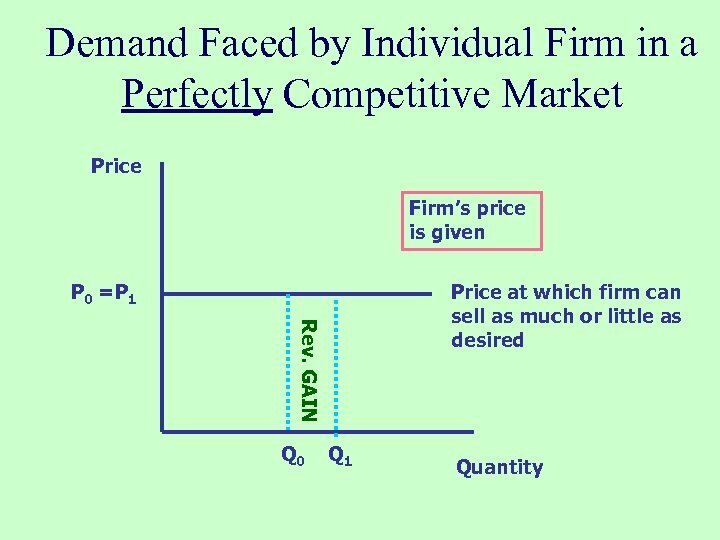 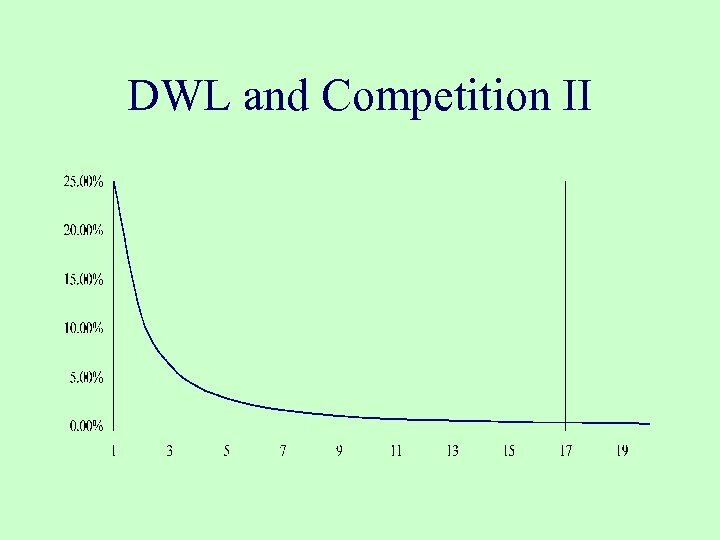 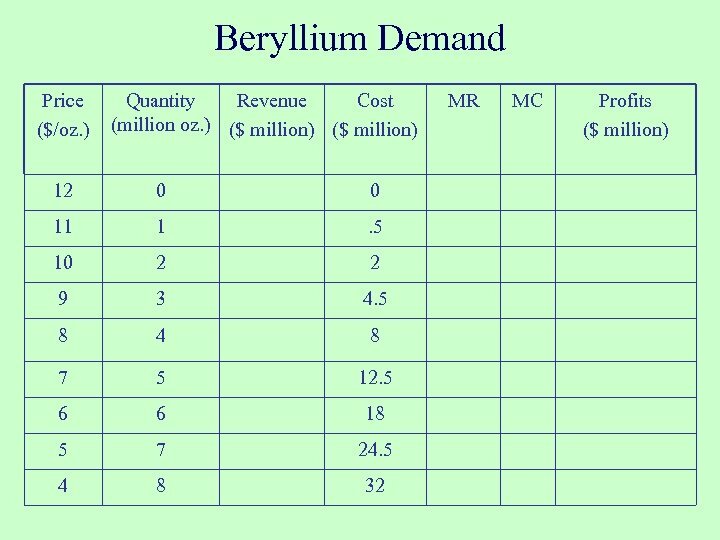 • Effectively, the residual demand curve faced by the firm is downward sloping Product differentiation gives market power! 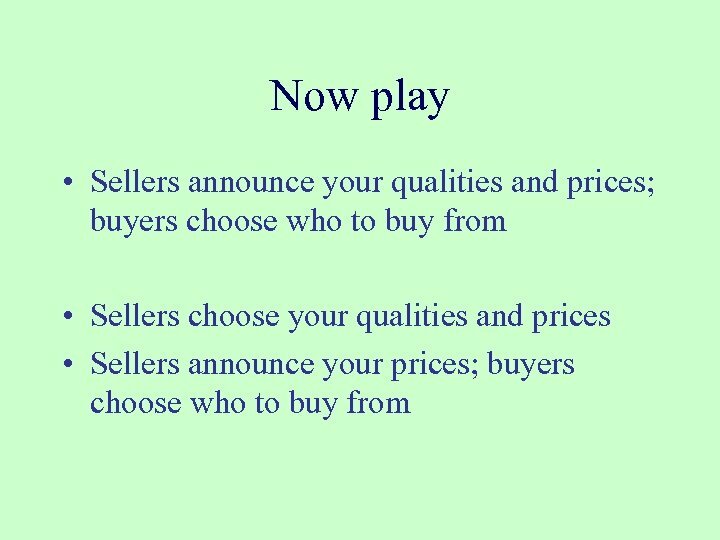 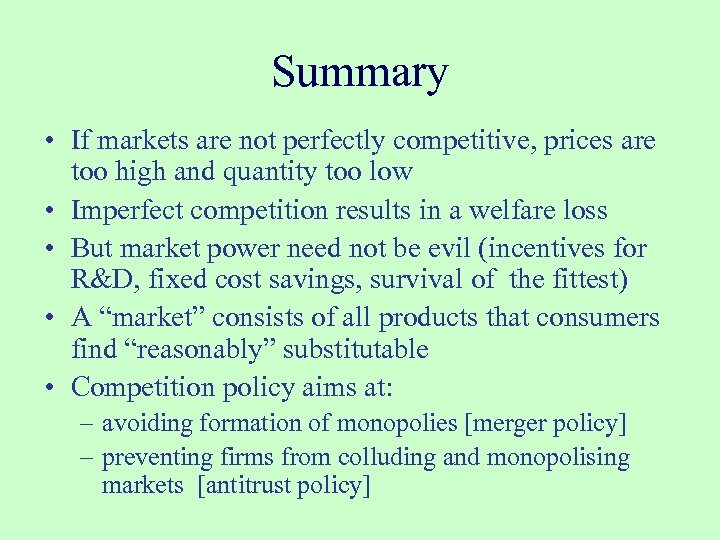 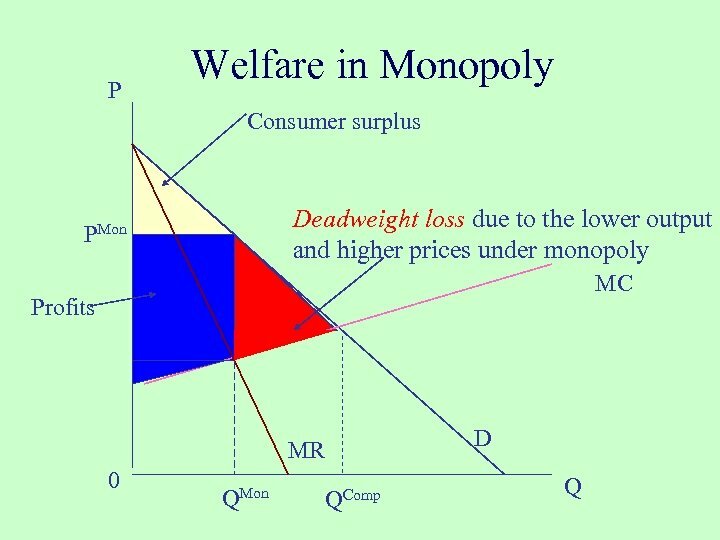 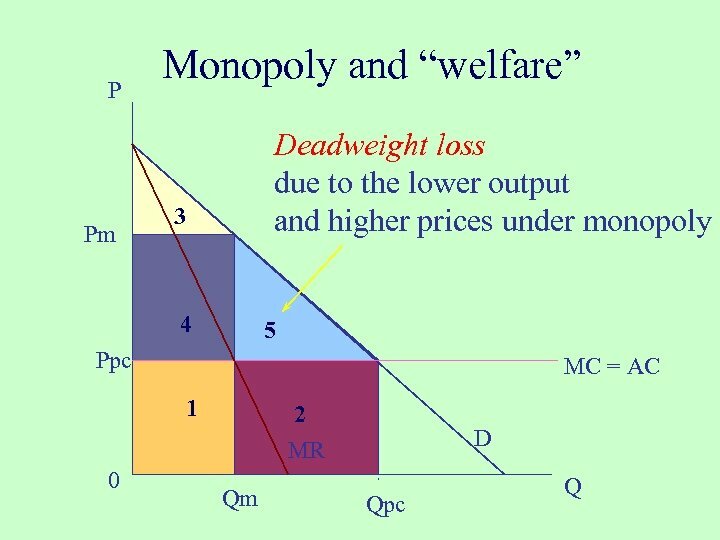 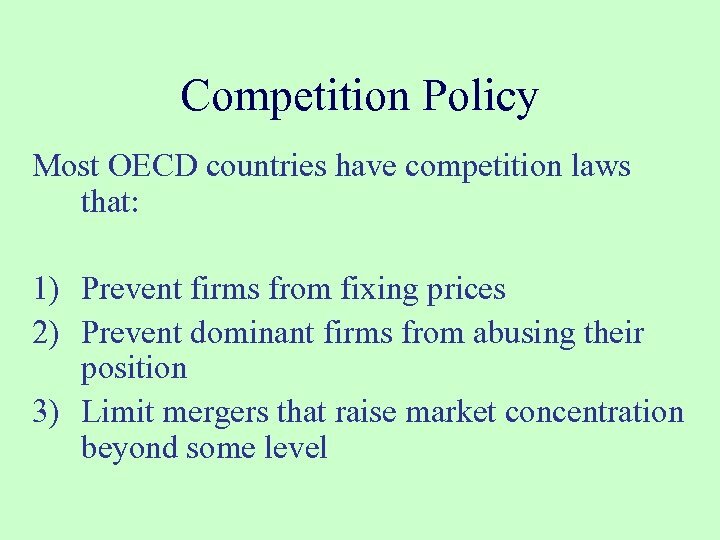 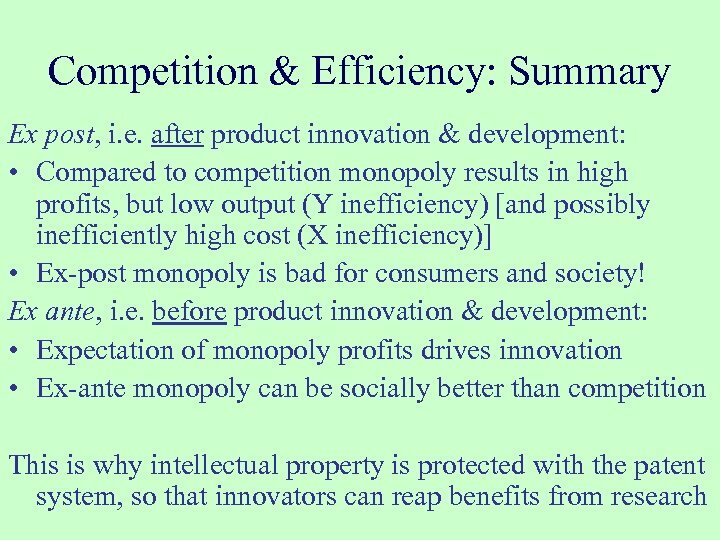 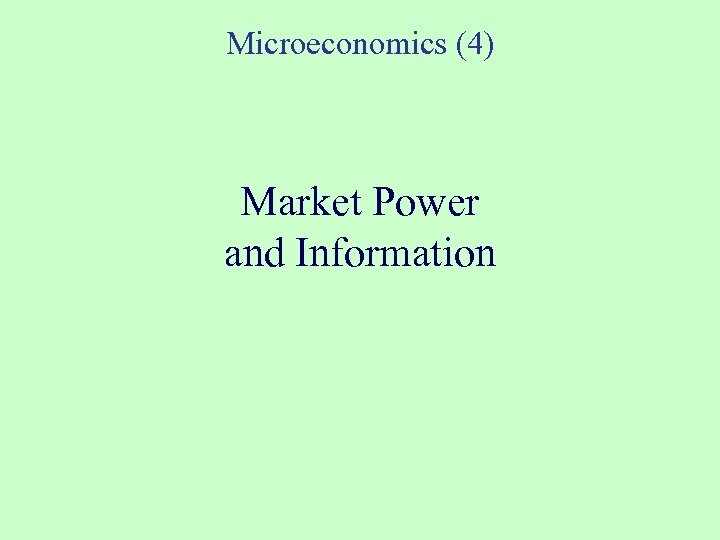 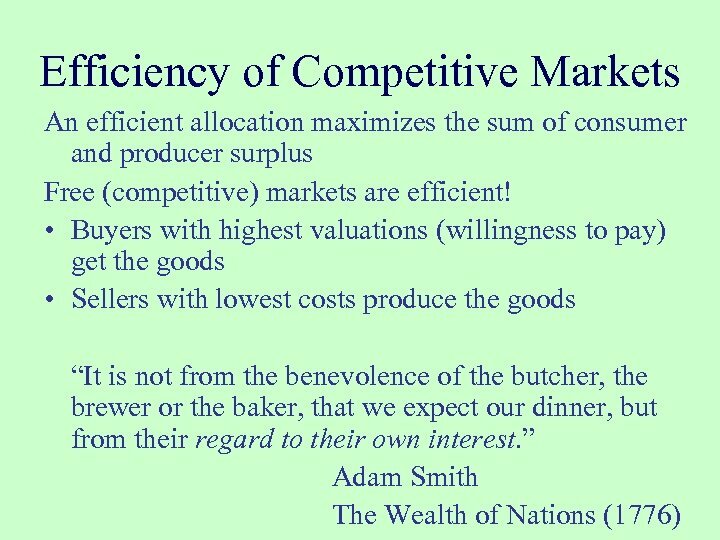 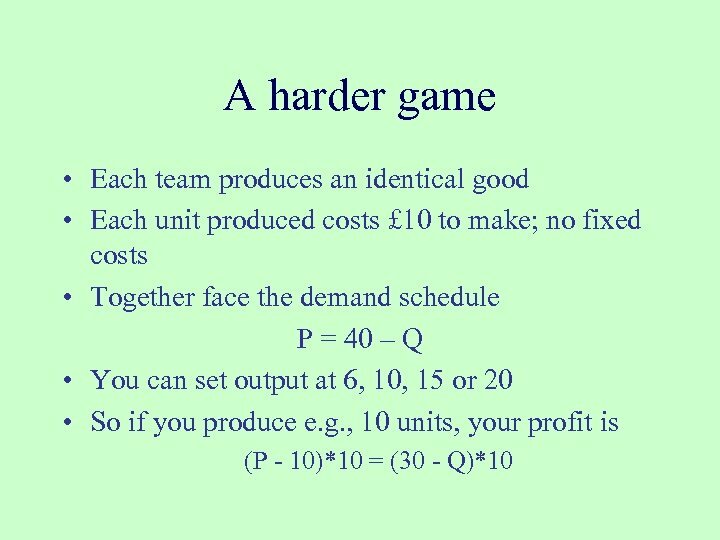 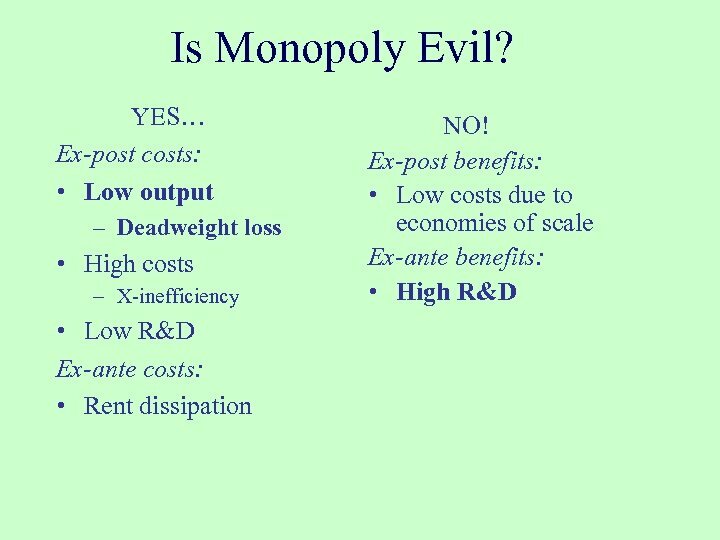 • How to use (or abuse) market power? 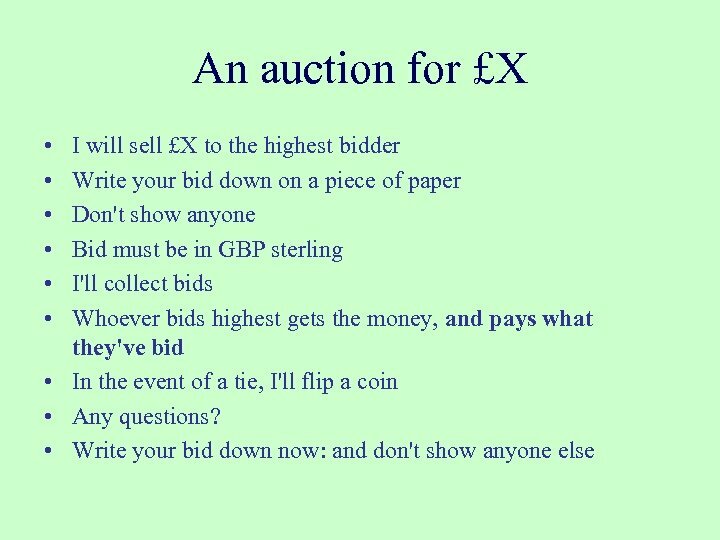 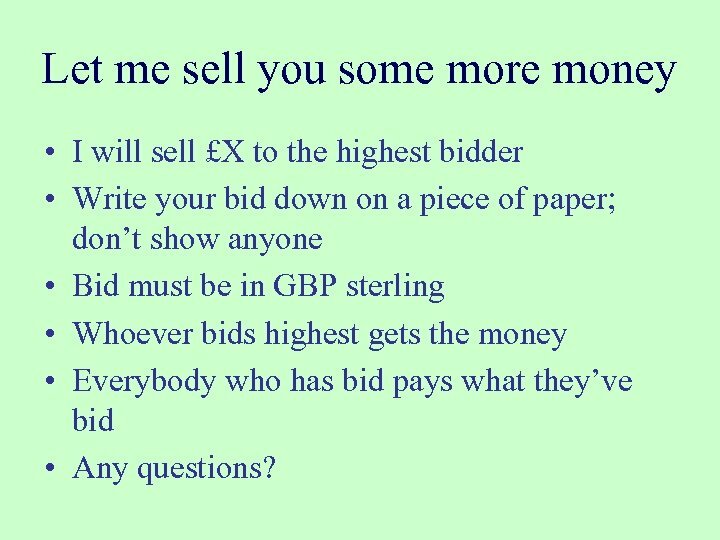 Let me sell you some more money • I will sell £X to the highest bidder • Write your bid down on a piece of paper; don’t show anyone • Bid must be in GBP sterling • Whoever bids highest gets the money • Everybody who has bid pays what they’ve bid • Any questions? 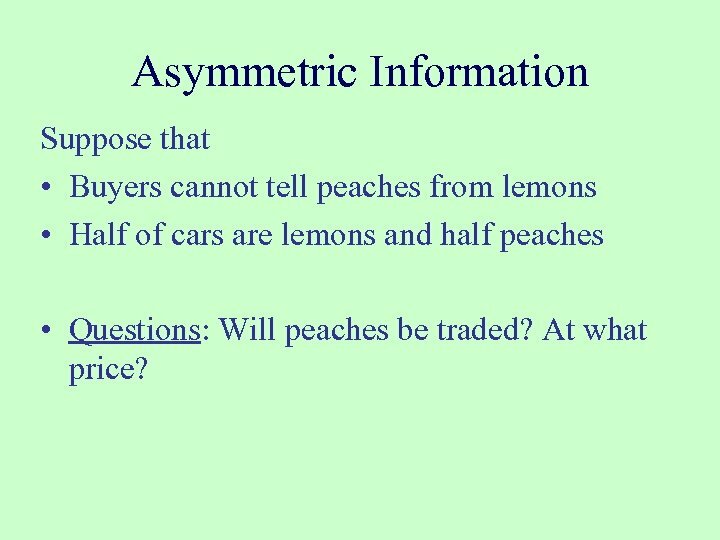 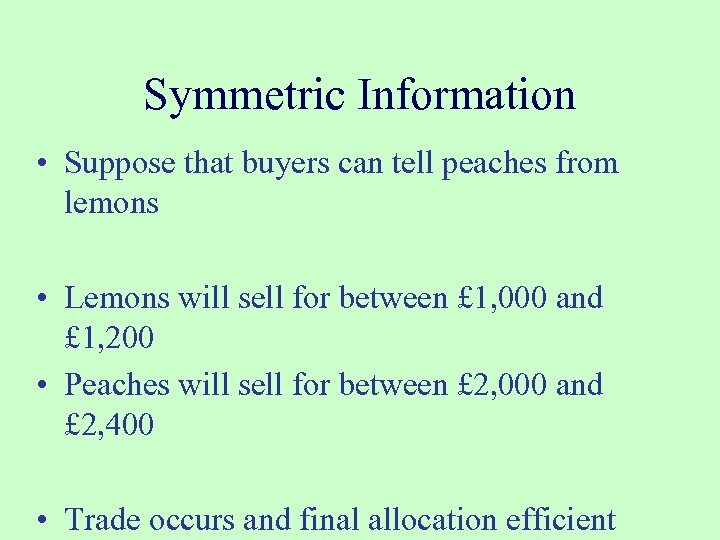 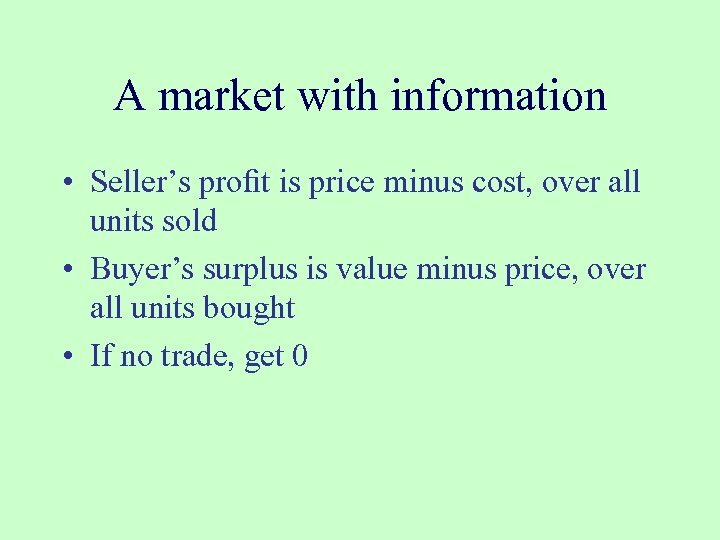 Asymmetric Information Suppose that • Buyers cannot tell peaches from lemons • Half of cars are lemons and half peaches • Questions: Will peaches be traded? 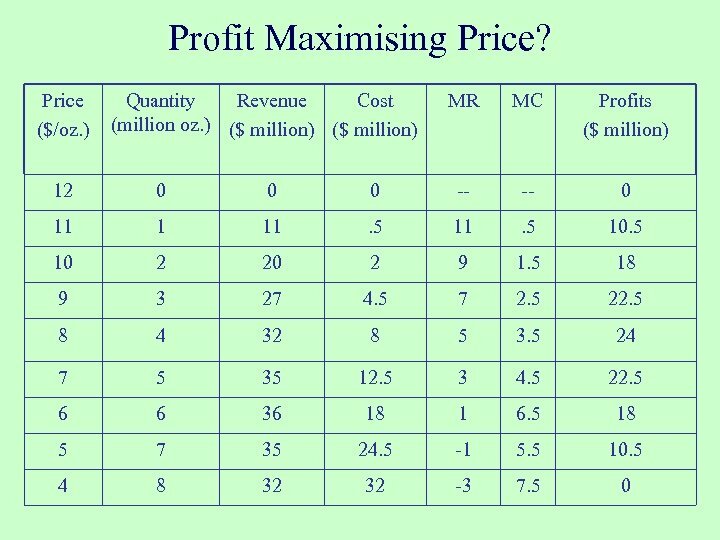 At what price? 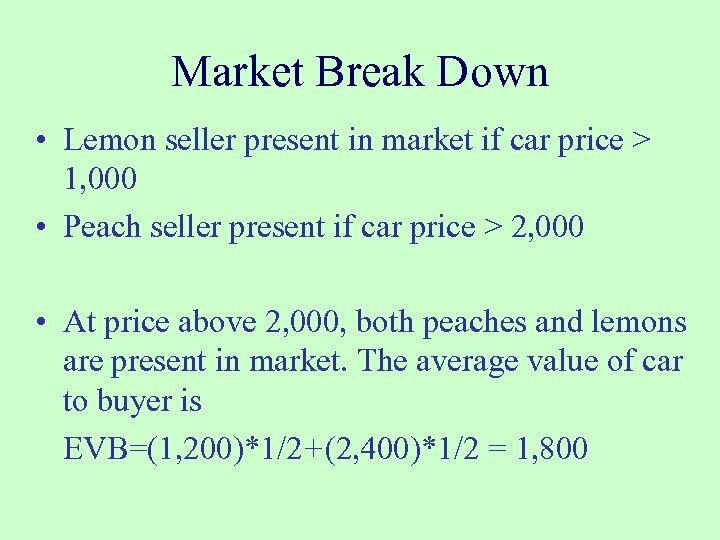 Market Break Down • But then the price paid by the buyer (2, 000) is higher than buyer’s expected value, so buyer gets negative surplus 1, 800 – 2, 000= – 200! 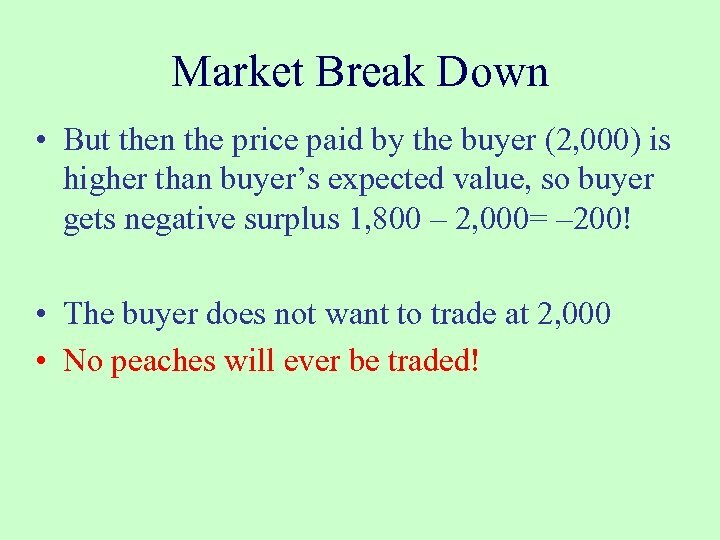 • The buyer does not want to trade at 2, 000 • No peaches will ever be traded! 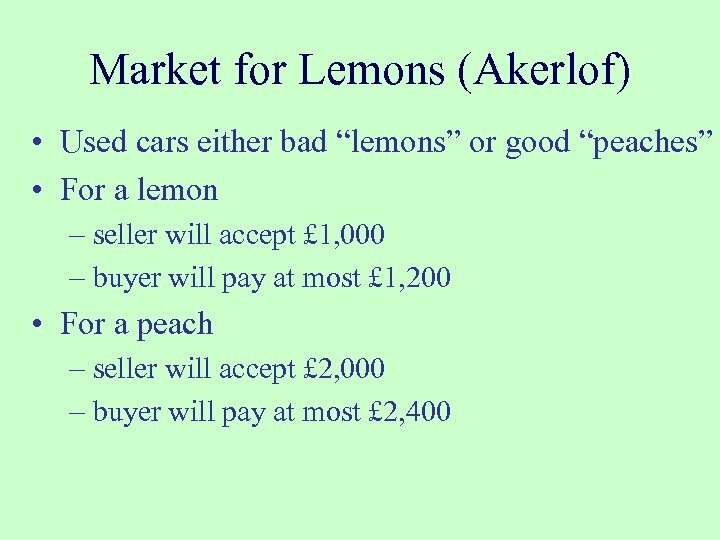 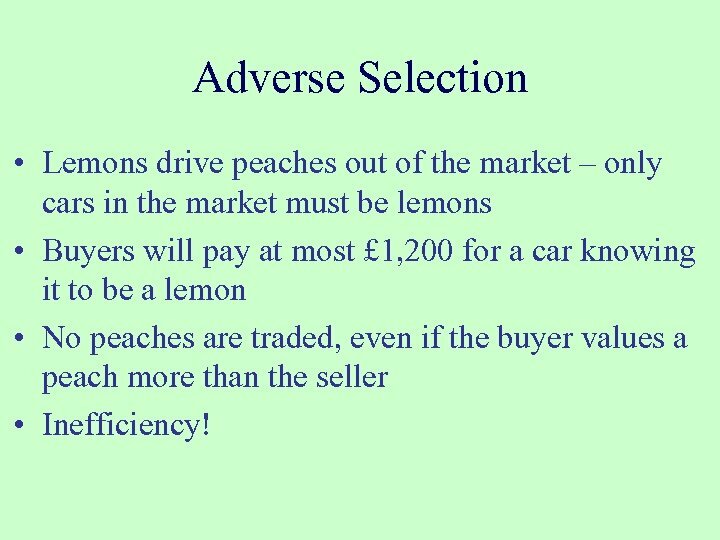 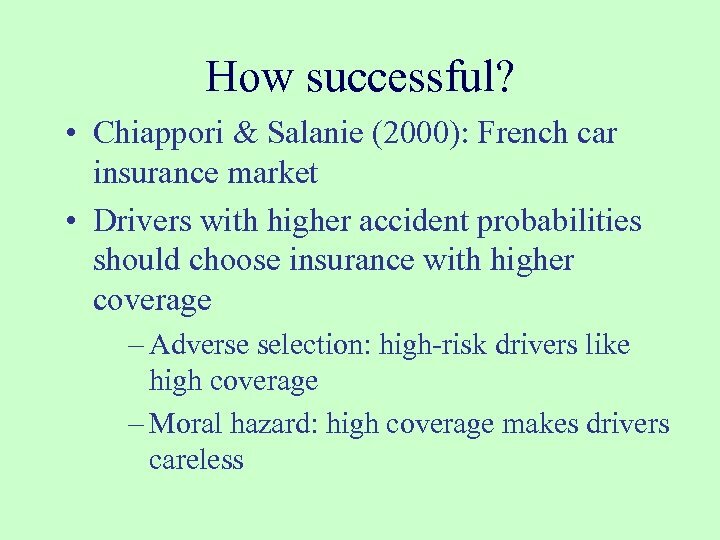 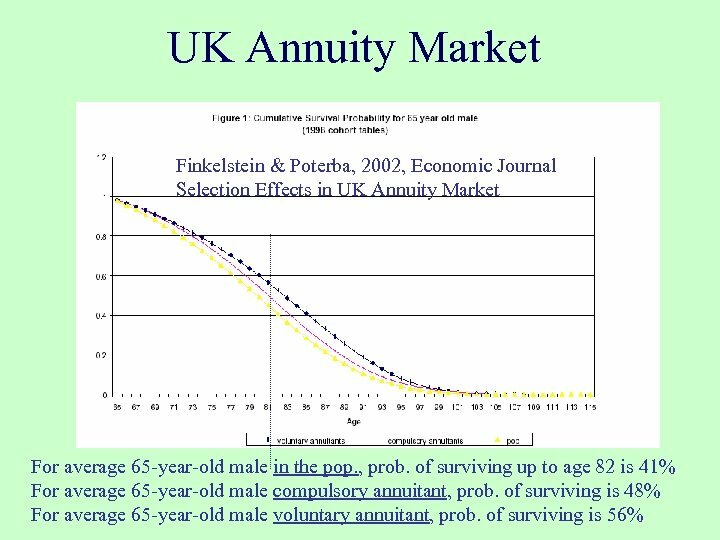 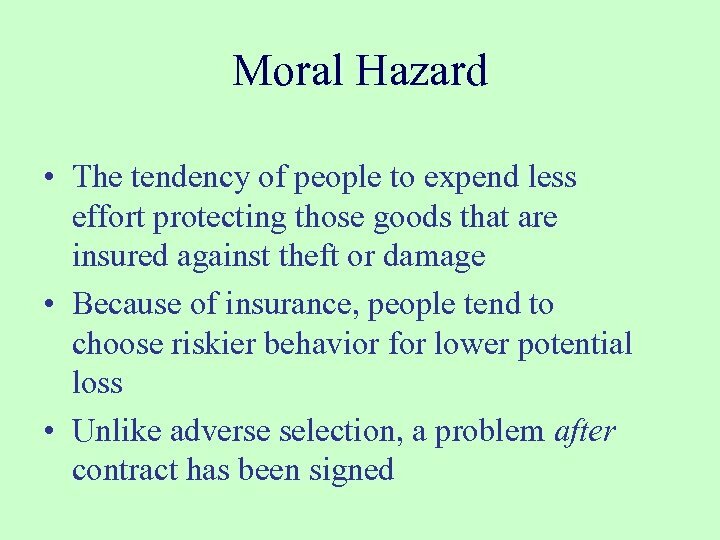 Adverse Selection • Lemons drive peaches out of the market – only cars in the market must be lemons • Buyers will pay at most £ 1, 200 for a car knowing it to be a lemon • No peaches are traded, even if the buyer values a peach more than the seller • Inefficiency! 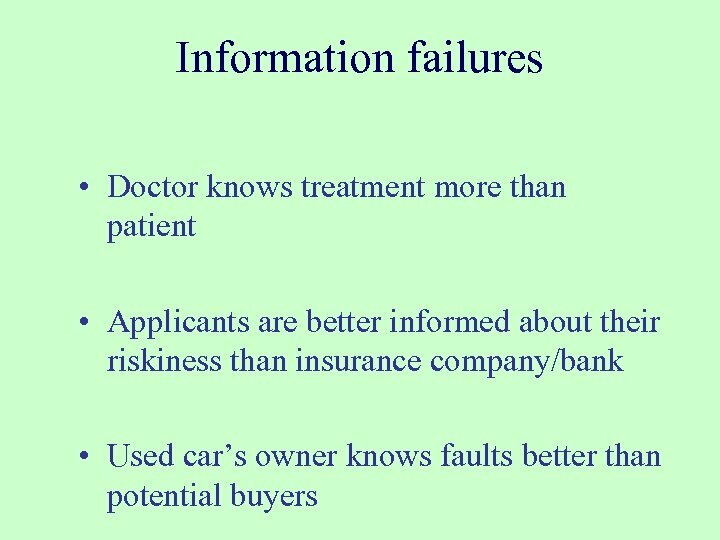 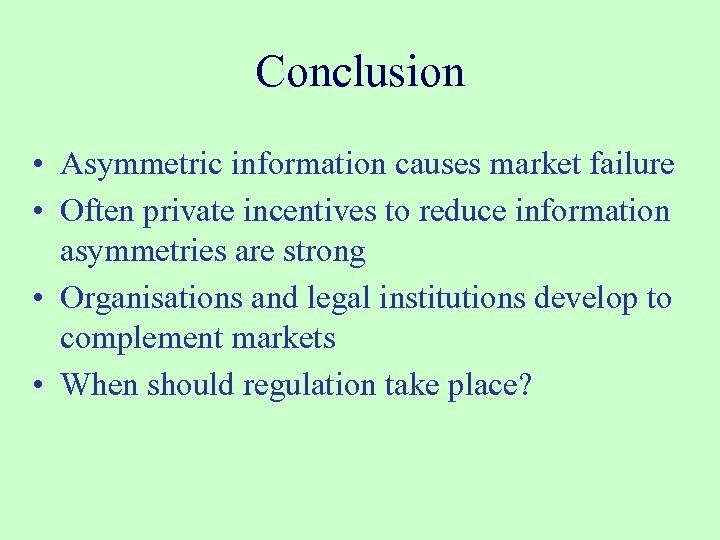 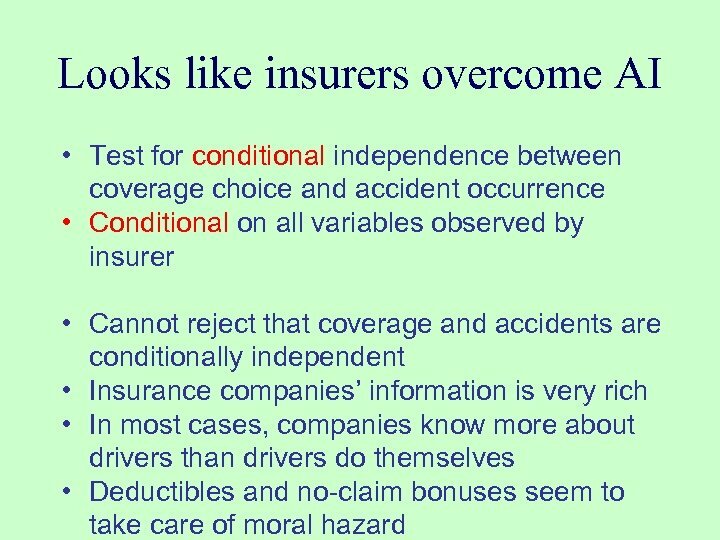 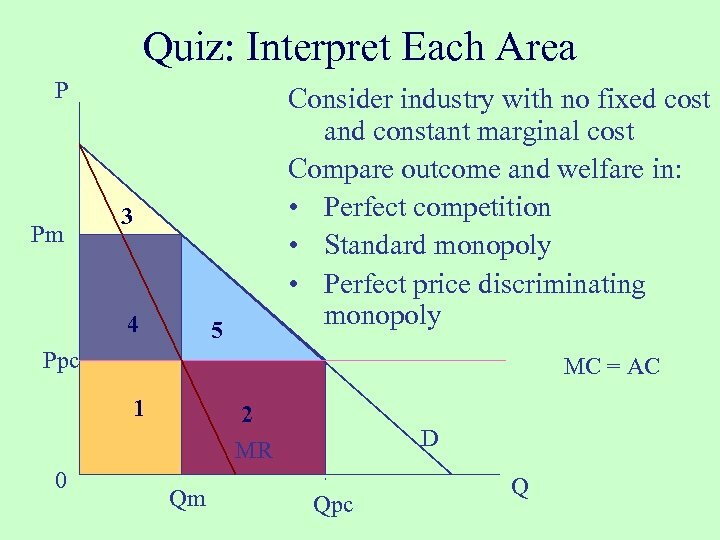 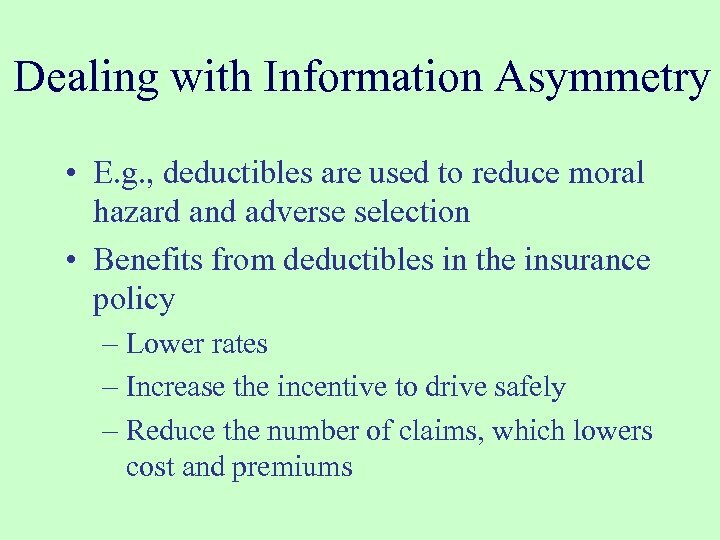 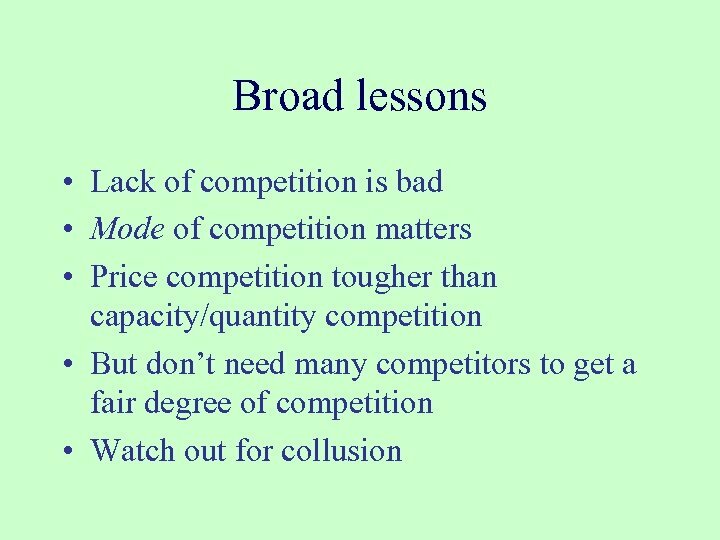 Conclusion • Asymmetric information causes market failure • Often private incentives to reduce information asymmetries are strong • Organisations and legal institutions develop to complement markets • When should regulation take place?